SPECIALTIES & OVERSIZE There are 23 products. 700 gr ABS 3D printer filament ø 2,85 mm spool . Colour: change color. 700 gr ABS V0 flame retardant 3D printer filament ø 1,75 mm spool. Colour: black. this material is useful for industrial application, heat exposed pieces, or electrical enclosure. 700 gr ABS V0 flame retardant 3D printer filament ø 1,75 mm spool. Colour: NEUTRAL. this material is useful for industrial application, heat exposed pieces, or electrical enclosure. 700 gr NYLON 3D printer filament ø 2.85 mm spool. Colour: neutral. Resisten, for expert only. 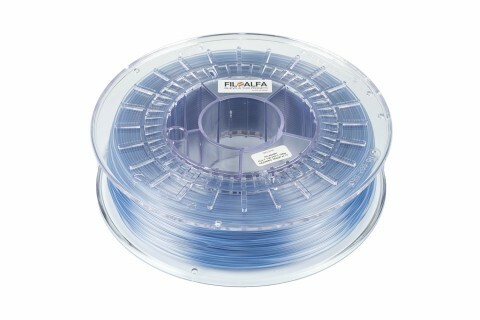 700 gr ALFAPRO 3D printer filament ø 1,75 mm spool. Colour: BLACK. Suggested printing temperature: 190°C-210°C. 700 gr ALFAPRO 3D printer filament ø 1,75 mm spool. Colour: BLUE. Suggested printing temperature: 190°C-210°C. 700 gr ALFAPRO 3D printer filament ø 1,75 mm spool. Colour: GREEN. Suggested printing temperature: 190°C-210°C. 700 gr ALFAPRO 3D printer filament ø 1,75 mm spool. Colour: METALLIC BLACK. Suggested printing temperature: 190°C-210°C. 700 gr ALFAPRO 3D printer filament ø 1,75 mm spool. Colour: METALLIC GREY. Suggested printing temperature: 190°C-210°C. 700 gr ALFAPRO 3D printer filament ø 1,75 mm spool. Colour: RED. Suggested printing temperature: 190°C-210°C. 700 gr ALFAPRO 3D printer filament ø 1,75 mm spool. Colour: WHITE. Suggested printing temperature: 190°C-210°C. 700 gr ALFAPRO 3D printer filament ø 1,75 mm spool. Colour: YELLOW. Suggested printing temperature: 190°C-210°C. 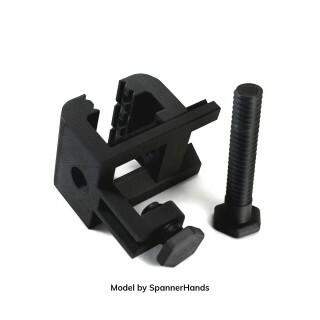 BioFlex - flexible technopolimer ø 2,85 mm Hardness: 27 shore D. 250 g spool rubber-likefilament for 3D printing. 700 g PLA GRAFYLON 3D printer filament ø 2,85 mm spool . Colour: GRAPHENE. 250 g PLA GRAFYLON 3D printer filament ø 2,85 mm spool . Colour: GRAPHENE. 700 gr PLA 3D printer filament ø 2.85 mm spool. Colour: "laterizio". 700 gr PLA 3D printer filament ø 2,85 mm spool . Colour: change color.